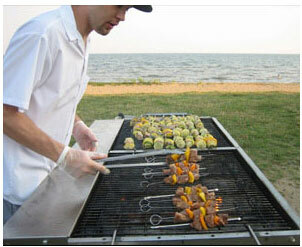 For two decades Sweet Relief Catering has been bringing the best grilling experience to you. From the intimate backyard pool party for fifteen to company outing of 1000. We serve your corporate or private BBQ event at Lighthouse Point Park, Cranberry Park, Penfield Pavilion, Short Beach, Camp Cedar Crest and all of Connecticut and select New York locations. Upwardly mobile, we are comfortable cooking with as little as an open field.